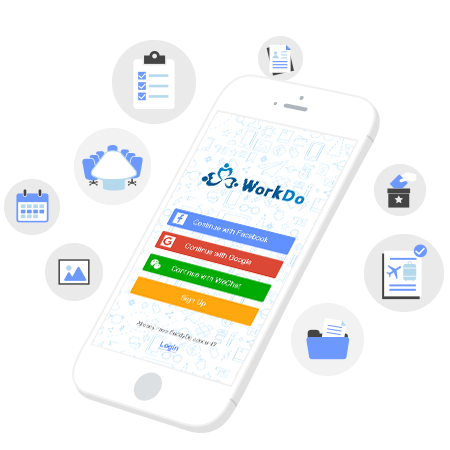 WorkDo is an app specifically designed to simplify team communication and enhance work efficiency suitable for small- to medium-size companies to accurately and effectively manage information! 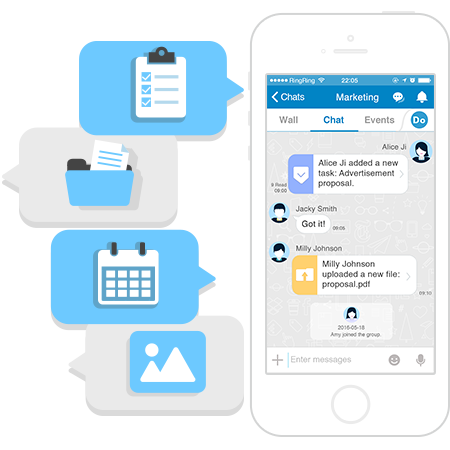 In addition to the chat service for group discussions, many tools can help to organize and track projects easily by using just one app. 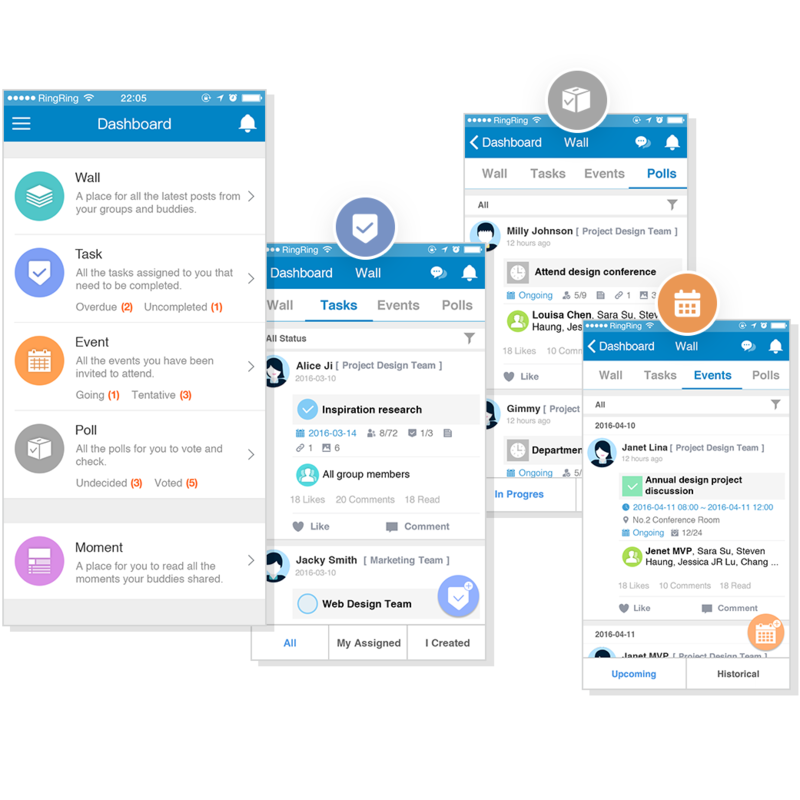 All your outstanding tasks and events, as well as all the team activities at one glance. share files to ensure everyone’s on the same page. 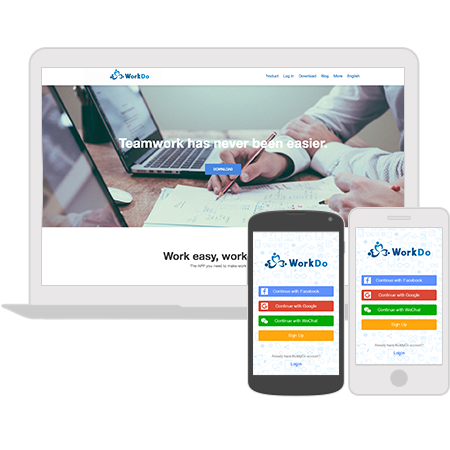 Add-on features: simple tools to manage leave, human resources, meeting room booking, reimbursement and customers relations. 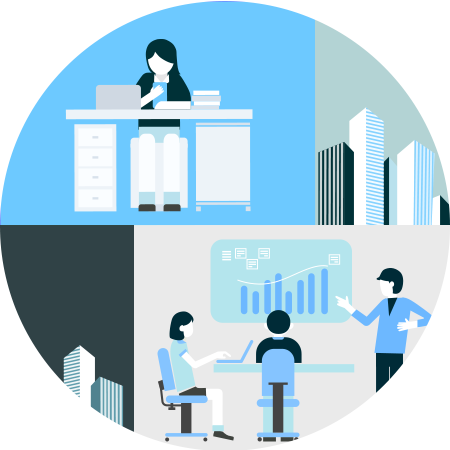 Create multiple groups for different purposes in one workplace. Add buddies within the workplace for one-on-one discussions. Have discussions in a group, or a dedicated communication channel for a project, or just chat with a buddy at work. Rest assured that everything stays in your private workplace. No need to install multiple apps anymore, just one integrated app, and start communication and sharing with ease.